Australia’s collision repair, restoration and refinishing industry will proudly assemble with Australia’s automotive aftermarket industry from April 4 to 6, 2019 at the Melbourne Convention and Exhibition Centre for the 2019 Collision Repair Expo (CRE), held concurrently with the 2019 Australian Auto Aftermarket (AAA) Expo, forming the country’s largest automotive industry trade exhibition. This comprehensive three day event will showcase the latest developments in collision repair technology, refinishing products, processes and equipment that Australia and the world has to offer. With 93% of Expo exhibition space already sold out and with the CRE representing more than 30% of the total Expo attendees two years ago, the 2019 edition of this biennial industry trade fair is set to be the most comprehensive to date for all involved in Australia’s constantly evolving collision repair industry. Leading local and international manufacturers and marketers will be on hand throughout this Expo, making it an essential event to align your collision repair business with the latest refinishing products, tooling and technology enhanced repair techniques for working with exotic new metals and composite materials. All members of the collision repair trade are freely welcome to take part in this Expo to meet with expert exhibitor technical staff while also attending professional demonstrations with the use of the Low Bake Demonstration Spray Booth. This fully functional spray booth enables every kind of surface coating product to be practically displayed, making it a well utilised promotional platform for exhibitors to showcase their latest surface coating products. This integral business event for 2019 will also include a dedicated CRE seminar program designed to engage and assist collision repairers. The 2017 Expo seminar program saw more than 2,500 members of the trade take part, highlighting the interest and importance being placed on learning about the latest development in collision repair technology. The 2019 CRE seminar program will continue to update and educate members of the trade with a number of the country’s most experienced industry identities. The 2019 CRE major sponsor is Sydney Automotive Paints and Equipment (SAPE) for the second consecutive Expo. According to Company Director Paul McMartin, this is a must-attend event for the industry. “This special three day event gives SAPE and all CRE exhibitors one on one access to thousands of collision repairers from all over the country, enabling us to gain valuable feedback about our products while strengthening existing business relationships and developing new business opportunities. 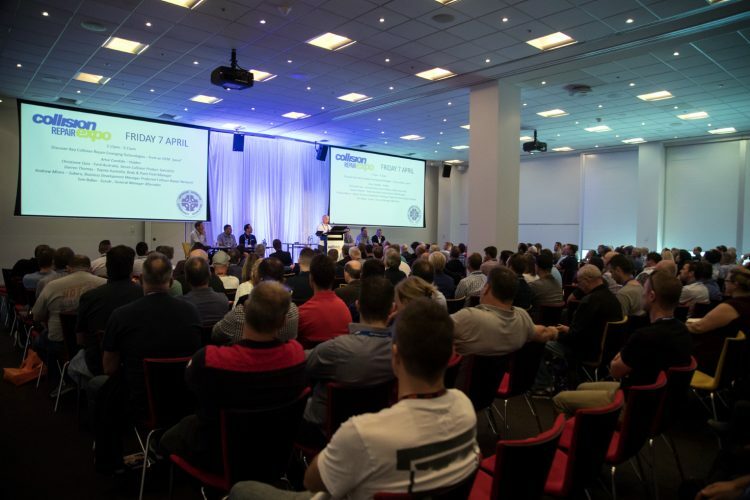 “We encourage all collision repair industry members to invest in the future of their businesses by personally attending the 2019 Collision Repair Expo from April 4-6 in Melbourne. It is the one event that truly has it all,” Mr McMartin stated. The 2019 CRE, together with the 2019 AAA Expo, forms Australia’s largest automotive industry trade week that will see more than 400 exhibitors taking part from April 4 to 6 at the Melbourne Convention and Exhibition Centre.